Join WildCat Creek on Sunday March 17th at The Stagecoach Tavern where we’ll cook up a hearty, wholesome and delicious St. Patrick’s Day brunch. Enjoy a festive meal by the fire and some sublime musical standards and ballads! Try your luck with our raffle, $5 for eight tickets or $10 for fifteen tickets. Prizes are: tickets to Equinox Ostara Ball, $50 gift card to the Stagecoach Tavern, and all-inclusive tickets to the Race Mountain Spring Banquet (3/24)! You do not need to be present to win. Winners will be notified Monday, March 18. 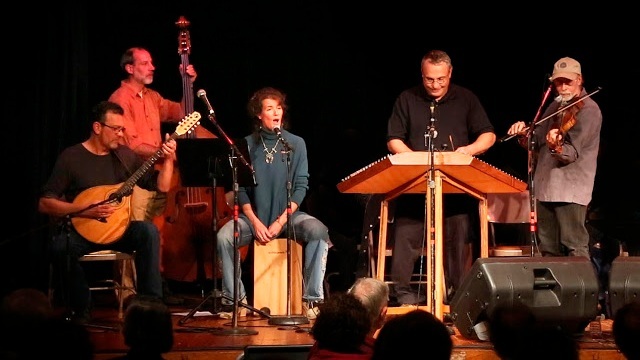 With deep traditional roots, WildCat Creek brings a unique and intoxicating blend of Celtic, Appalachian and World music, with driving dance tunes, haunting ballads, and vocal and instrumental improvisation.